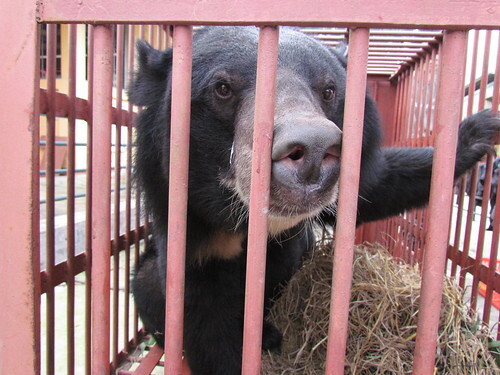 Ti Map, the last bile-farmed bear in Binh Thuan province, in the south of Vietnam, is settling in to Animals Asia’s Vietnam Bear Rescue Centre after his rescue concluded on Friday. Ti Map, who spent 14 years of his life being tapped for his bile, had to be transported 1,700 km along almost the entire coast of Vietnam. The journey took four days and three nights during which Ti Map’s health and well-being were constantly monitored by the Animals Asia team overseeing his rescue. The rescue began with a scare on Tuesday morning when Ti Map reacted badly to a routine light dose of anaesthetic. The bear twice stopped breathing while being moved down four flights of stairs, but the quick thinking and calm reactions of Animals Asia’s senior vet Joost Philippa saved him. 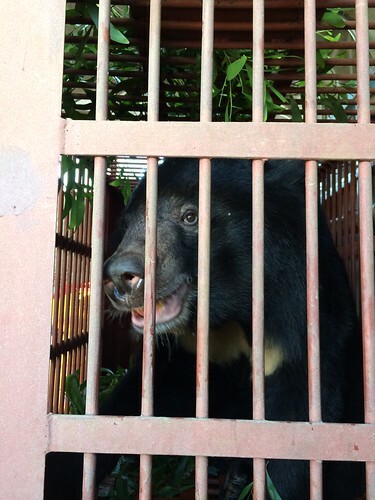 Arriving back at the Tam Dao sanctuary at 3.45pm on Friday, Ti Map was taken to the quarantine area where he will spend at least 45 days. During this time he will also have a health check and his rehabilitation and adjustment will dictate his future progress. “He is such a gentle, quiet bear, who loves all the new smells, flavors, and enrichment items that he’s beginning to experience for the first time. He spent a good few hours with a coconut yesterday. The visiting anaesthesiologist is from the University of Edinburgh and due to arrive on the May 28 this year. With Ti Map’s rescue, Binh Thuan has become the second province in Vietnam after Thua Thien – Hue to become officially bear bile farm free. The journey back saw Ti Map and the team stop at Phan Rang, Danang and Vinh, having set off from Phan Thiet. To see the full details of Ti Map’s long road home see our live timeline.